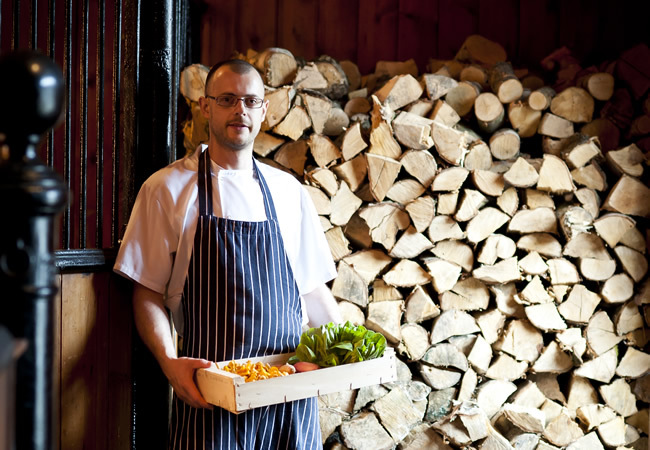 We are delighted to announce our new clients. 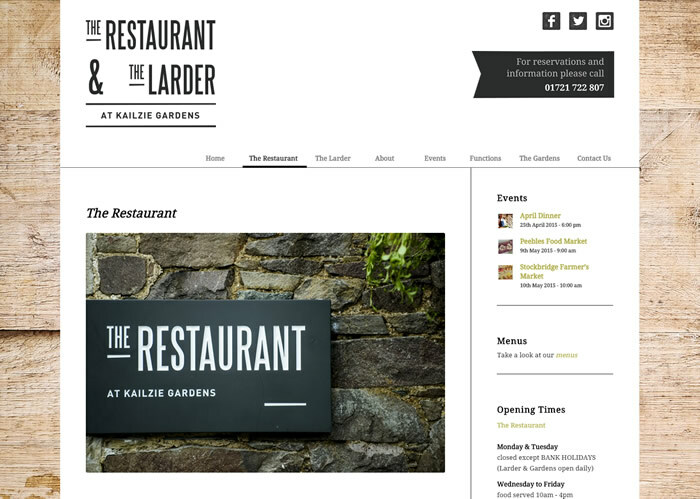 The Restaurant & Larder at Kailzie Gardens in Peebles, a Michelin Bib Gourmand awarded restaurant. 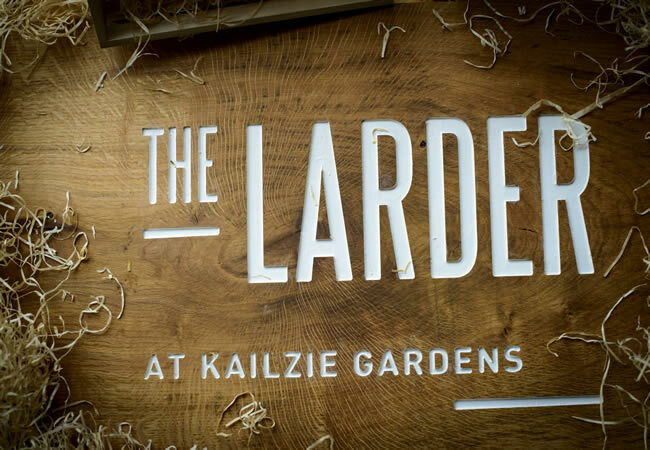 Set in the pretty Kailzie Gardens just outside Peebles, The Restaurant & The Larder’s home is a charming 19th century stable and adjoining courtyard. 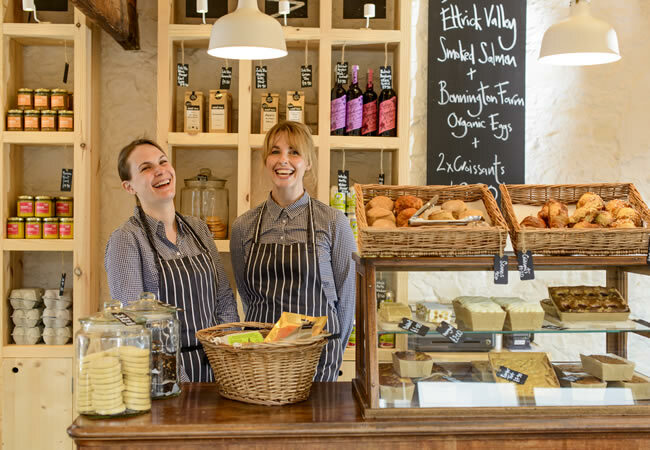 The owners, Amanda & Stuart took over the running of the business in March 2010 and since then it has gone from strength to strength. 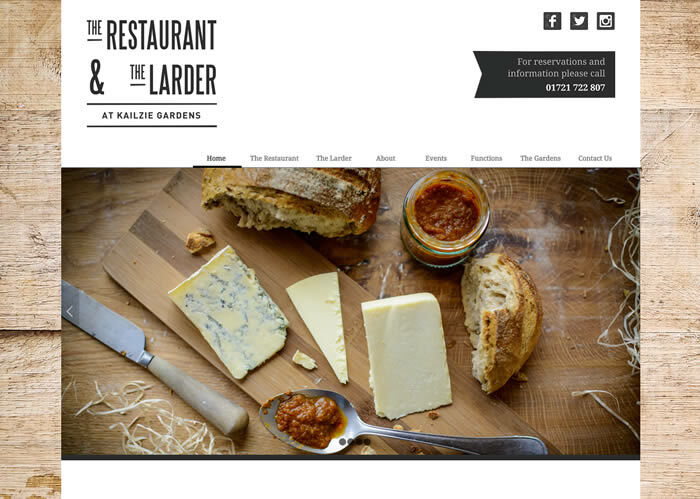 They had an existing website but were looking to re-brand and change the perception of the restaurant to a more locally-sourced, artisan farmers market style. 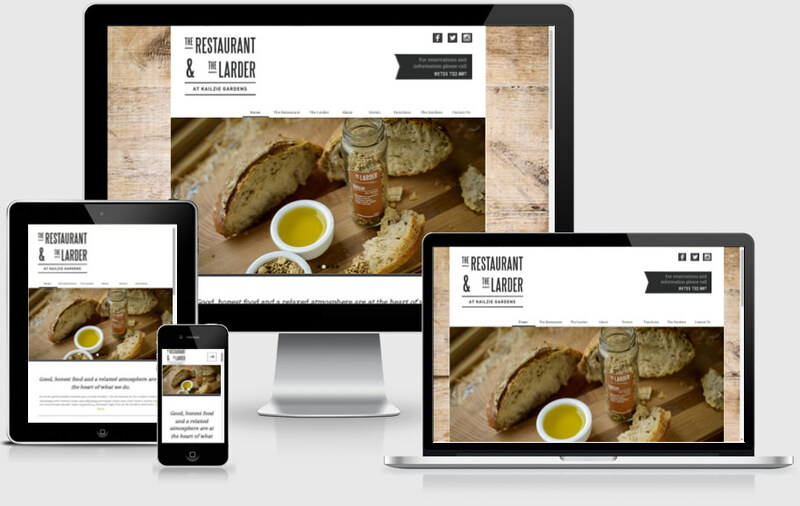 In addition, the existing website wasn’t fully mobile responsive and they understood the importance of ensuring their site worked just as well on a mobile phone as it does on a desktop computer. Kailzie had already enlisted the talents of local Innerleithen based graphic designer Dave Cotter. 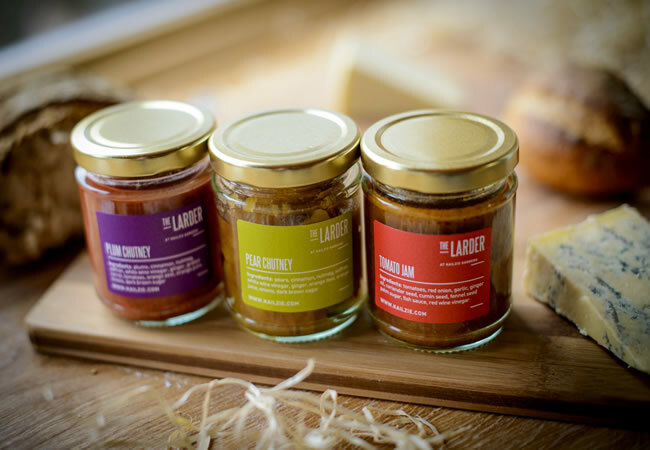 Dave from Caddon Creative had created a new brand identity including logos, graphics, roadside signs, posters and brand development for their shop, The Larder. We had already worked with Dave on the Innerleithen Music Festival web site so he knew his client would be in safe hands. Amanda & Stuart already knew the importance of high quality, professionally shot photographs and had enlisted the talents of Marc Millar, an Edinburgh based PR & Corporate Photographer. 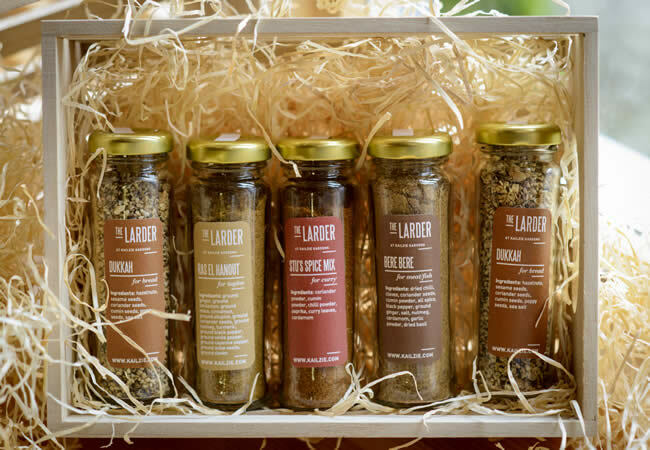 His attention to detail helped create the level of sophistication our clients were looking for and made for many hours of mouth watering work while we developed the web site. 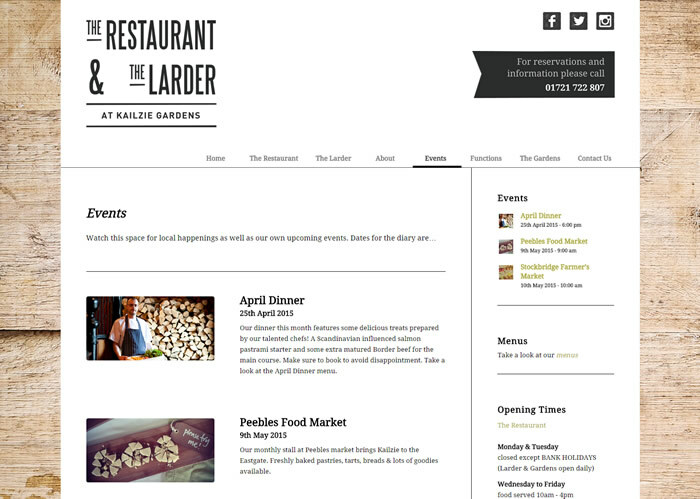 We think the results speak for themselves and if you haven’t already been to have a look at the new Kailzie Gardens Restaurant web site then head over there now and take a look. If you are interested in having your existing web site redesigned or don’t yet have a web site then give us a call on 01896 888 235 or fill out the form on our contact page. We will be more than happy to discuss your requirements and advise on how best to proceed. If you are just after a bit of advice about a web site or Search Engine Optimisation then give us a call. 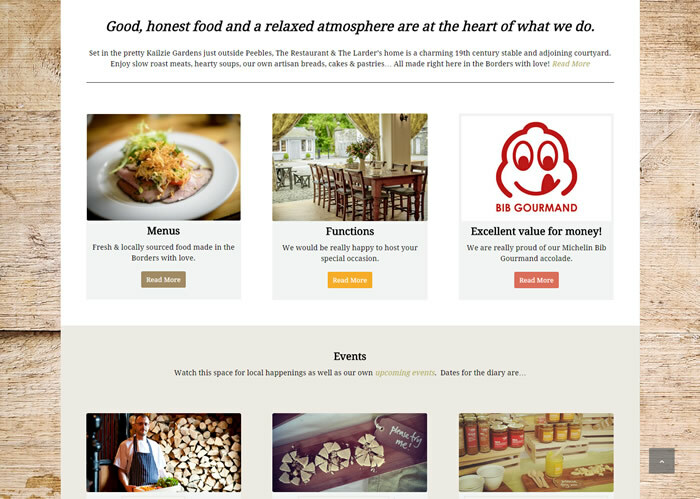 You might also want to take a look at some of our other recent clients. Sew Shed, run by the lovely Helen Hunter, who provides sewing classes in Peebles or our local Innerleithen folk festival: Innerleithen Music Festival. How do I Force Facebook To Use A Thumbnail From My Website?